Hens are adored by many people from all walks of life and the support we get from celebrities helps us to raise the profile of our work. Nancy Birtwhistle is breaking the Great British Bake Off mould. Crowned winner of the hit show in 2014 Nancy is the only winner to have not yet released a book. Ex-bat owner herself, here she tells us why she’s doing things her own way. We talk to successful British dressage rider, Carl Hester, about hens, horses and the Olympic games. Here we talk to designer-to-die-for Sophie Allport whose gorgeous range of household items – including her much-adored chicken range brings joy to many homes across the UK and are a firm favourite in the BHWT shop? Sophie lives with her husband and 3 sons in Lincolnshire. We talk to Jamie Oliver – celebrity chef, restaurateur and BHWT Patron about hen welfare, free range eggs and promoting good nutrition. "Chickens are one of the most underrated animals on earth, and it's good to see something positive being done to help them. Congratulations British Hen Welfare Trust on your first ten years, and more power to your elbow in the next ten." "I am well organised and have a loving family. So long as they are fed, watered and you shift the house regularly, they're happy. That's the chicken, not the family." "When I was little, my mother kept about 20 bantams, and they were fantastic until we were left with only one. She was called Penelope and became very tame & loved being tickled while being fed corn!" "We had hens before we had children! The ex-battery hens came first! We all really really love our hens - but love their eggs too!" 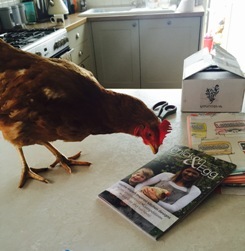 "The British Hen Welfare Trust is just plain fantastic, I admire you all so much for what you do. So very much!" 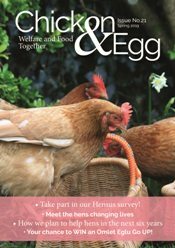 "I think the British Hen Welfare Trust does an important job in trying to improve conditions for the hens, with a realistic approach. Keep up the good work BHWT!"